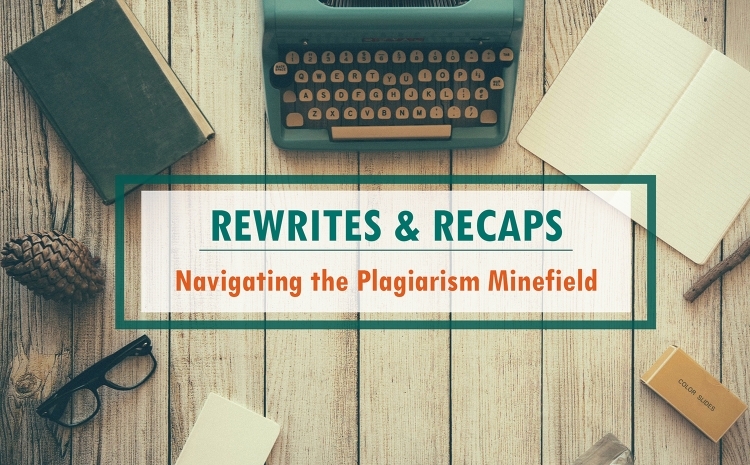 A client wants you to “recap” or “rewrite” something, and you think you're on easy street. 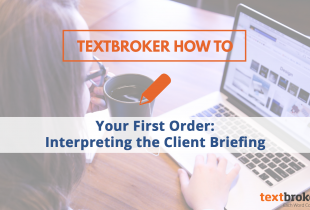 In reality, these Textbroker jobs have unique challenges, and avoiding plagiarism is chief among them. Clients demand originality. Rearranging the provided source material won't cut it, and neither will swapping out choice words here and there. Here's how to give content a thoroughly fresh take. Rewrites ask you to write something in a new way that builds on, enhances, or changes the source content. Recaps require you to write an original piece that briefly summarizes the source. Both rewrites and recaps require that you work from other content. This material should be at most a source of inspiration, not a building block. Exchange vocabulary for synonyms using a thesaurus, like Merriam-Webster or thesaurus.com.Double-check that the words you have chosen make sense within the content and structure of your sentence. Explore novel aspects of the same ideas by swapping phrases, clauses, grammatical parts of speech, and active or passive voicing to change the focus of your writing. Alter the structure of the article. Avoid using the same headings and subheadings. Do not summarize the source sentence by sentence. Instead, try to take a whole paragraph or section, and paraphrase or summarize the content as a whole. Unlike paraphrasing, summarizing boils down source material. Imagine that your audience doesn’t have time to read the whole original. It’s your job to communicate what it’s all about in a condensed form. Start by taking note of the source’s core concepts. Next, write entirely fresh content based on those ideas. If you can accomplish this without referring to the original, you have a high chance of avoiding plagiarism. Adding additional sources can inject originality into your work. Just make sure that they reinforce the point. Want to include quotes? Limit their length to three or four sentences at most. Never parrot someone else just to boost your word count. If in doubt, break up long quotes to extract their essential themes. Try restricting yourself to a single quote per 350 to 400 words of writing. Your quotes should make thematic sense. Do they flow seamlessly within your work’s context? If not, drop them. Don’t just depend on Copyscape to catch everything that’s too similar to the original. Instead, always edit thoroughly to ensure that your writing is wholly unique. Textbroker rewrites and recaps are fun once you get the hang of them. Do you use any of these techniques or others that were missed? Share your strategies in the comments. 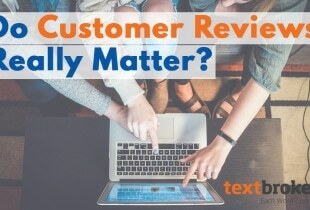 Do Customer Reviews Really Matter? Sometimes while editing your article, it works even better when you read it out loud because reading silent you do not catch some of the words that has two or three letters; so your sentence structure sounds normal. This is all perfect instructions for me to better write instructions for writers… thanks Cody. I’ll be sharing this post with freelancers I know. Translating text with low readability into simple English will increase the Flesch-Kincaid score. Therefore, your article will be more noticeable. Great instructions I will definitely be putting them to use.